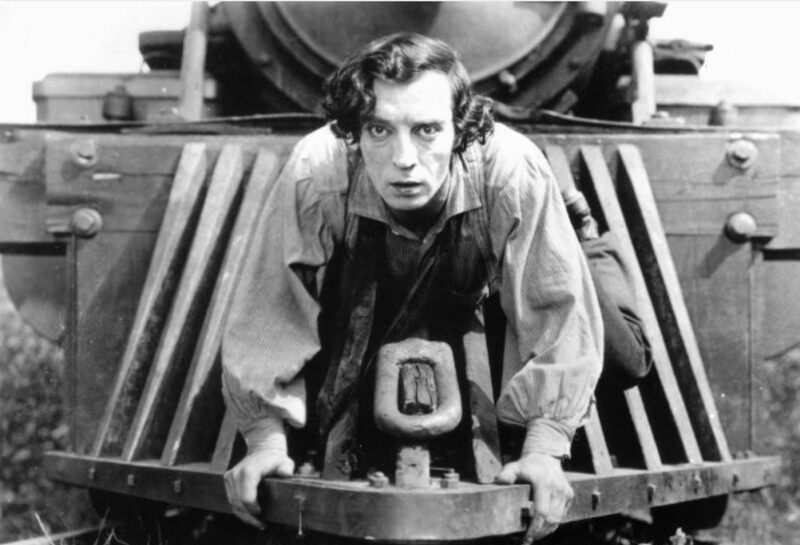 Director-actor Buster Keaton was the poet of precision: a special kind of physical acuity by which a human being, possessed of a hapless heart, exquisitely navigates that ever narrowing horizon where cosmic symmetry and chaos meet. With the genes of a vaudevillian and a face sad at birth, he overcame his early reservations about this new-fangled picture-making to become the most profoundly cinematic of the early American film giants with pictures like Sherlock, Jr. and The Navigator. However, as with the precision of a broken clock on time twice a day, the consensus that deems The General to be Keaton’s masterpiece gets it right. A Civil War saga in which a war-torn Mathew Brady landscape is just a lethal obstacle course for Buster winning his girl’s heart, The General also remains the unsurpassed runaway train (car/bus/plane/submarine) movie, one jawdropping stunt and demented sight gag after another. Like so many other entries in this library, it’s further distinguished by how the filmmaker gambled everything and lost, the picture’s then considerable budget of more than $700,000 colliding with box office failure—the sort of comic precision for which businessmen have little sense of irony. At the same moment that Keaton’s career would never be the same, however, his immortality became a runaway train of its own.